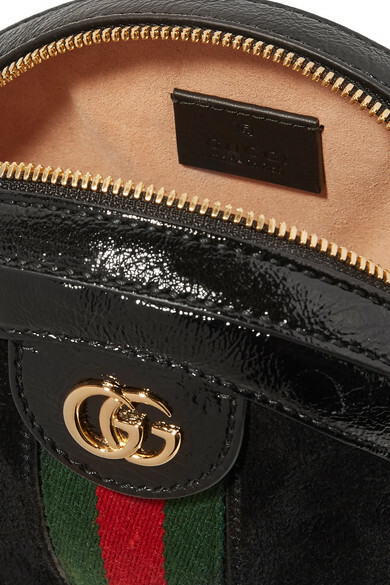 Gucci's 'Ophidia' bag showcases the label's signature details - like the striped webbing and burnished 'GG' hardware - in such a fresh, yet refined way. 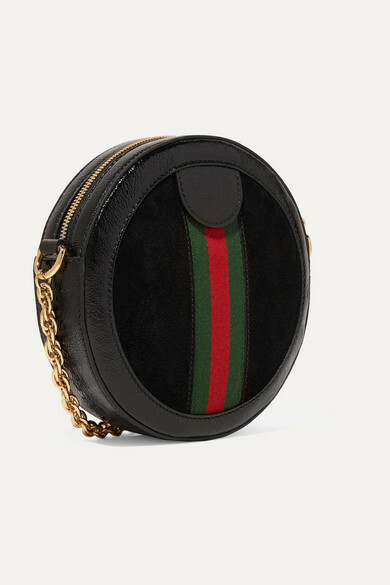 Crafted in Italy from buttery suede, this circular style is traced with glossy patent-leather and opens to a compact interior sized to fit just the essentials. 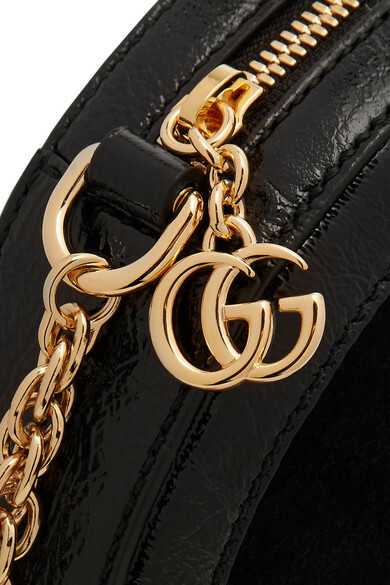 Wear the polished chain strap over your shoulder or cross-body. 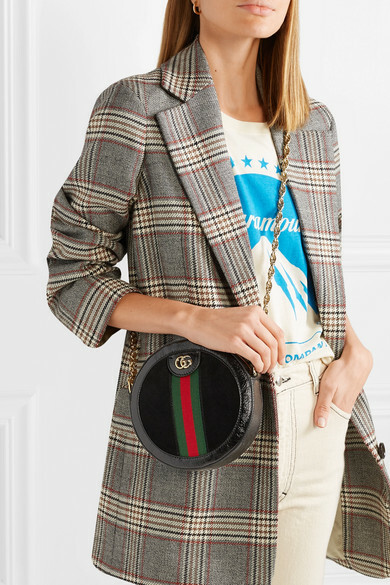 Shown here with: Gucci T-shirt, Eckhaus Latta Jeans, Joseph Blazer, Jennifer Fisher Earrings.